The Senate voted Monday evening on a proposal that would have stripped all federal funding from the Planned Parenthood Federation of America. As Democrats accused the GOP of waging a "war on women," Republicans backing the proposed defunding legislation were only able to garner 53 of the required 60 votes. For the most part, senators voted with their parties, with only four senators voting in opposition to their parties. The New York Times compiled an interactive map to show if your senator voted to defund Planned Parenthood, and it turns out that two Democrats broke party lines to vote yes, while two Republicans and two Independents joined 42 Dems to vote no. 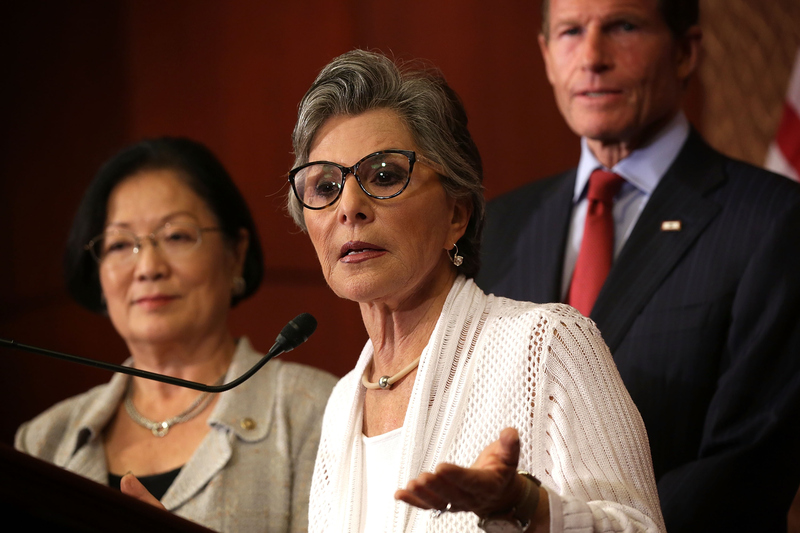 Unsurprisingly, Planned Parenthood found loyal allies in Massachusetts Sen. Elizabeth Warren and California Sen. Barbara Boxer, both of whom delivered fiery statements in support of the organization. Democratic presidential candidate Bernie Sanders and Senate Minority Leader Harry Reid were also among those who voted against the proposal. Meanwhile, GOP presidential candidates Ted Cruz, Rand Paul, and Marco Rubio all voted in favor of the legislation. Here is a full list of senators by state and how they voted; in italics are the four senators who did not vote with their parties. South Carolina Sen. Lindsey Graham was the only senator who did not vote. It looks like Planned Parenthood will be sticking around for a while, but that doesn't mean the GOP is done attacking it. Tune in to the GOP primary debate Thursday night to see whether this topic comes up in discussion.